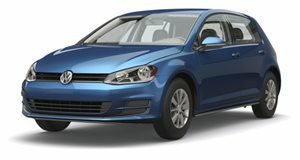 Finally, VW announces an EV that enthusiasts will love. Volkswagen is on the EV offensive as it tries to leave Diselgate in the rear-view mirror. The company is working on an entire EV range of models based on the ID Concept. The first real announcement of a production EV was the ID Buzz, a modern interpretation of the VW Bus. A reborn VW Bus is a pretty neat idea, but Auto Express has the details of a much sportier EV Volkswagen that will really make enthusiasts happy. The new VW Scirocco will be reborn as an all-electric coupe that will offer up to 300 hp. The next generation Scirocco has been highly anticipated for a while now. The new car will be based on the company's all-electric MEB platform that other ID models will be based on. Volkswagen R&D boss Dr. Frank Welsch told Auto Express that in order to use the Scirocco name, there were a few aspects of the car that needed to remain intact. “For me, we can only use [Scirocco] for a sporty two-door coupe,” he said. “We are not clear on how we will do such a car, and are thinking whether we do an interesting concept based on our electric platform; this could be a great and fun car.” Clearly, this won't be some boring economy car. “We are thinking about options for a new small coupe,” Welsch added. “We are working on a concept for emotional cars. Volkswagen always has an offer for emotional cars.” We have been clamoring for Volkswagen to sell the Europe-only Scirocco in the US for years now. Perhaps when the car becomes electric we will finally get it. The current Scirocco is about 10 years old and is about to be discontinued. There may be a gap before the electric successor is ready, but we can only hope and pray that this awesome 300 EV coupe will be available in the US.